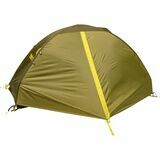 arek - Chicago urltra light "I use it last half a year and I am very happy with the purchase"
melee757 - Austin, TX Great tent "Been on a few camping trips with this tent and love it so far. Profile is fairly low, so it withstands wind very well (especially when using extra guy outs). 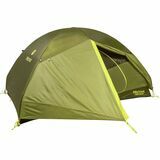 Pretty easy to set up and comes with a footprint."